29 Nov 2018 --- Keyto, a health and wellness company researching the science behind the ketogenic diet, has closed a US$2.5 million seed round. The funding will allow the company to expand the research and development of its proprietary gas nanosensor which detects users ketosis state, as well increase its manufacturing capabilities. Keyto supplies a health program comprised of a “smart” breath sensor that can detect when the body is ketosis – a state in which it burns fats rather than sugars and carbohydrates for fuel – and an app that provides personalized food and lifestyle recommendations based on individual physiology. To use the device, users breathe into the cylindrical device and view the result on the Keyto app, which is delivered as a “Keyto Level.” The higher the level, the greater the state of ketosis and the more efficient the fat burn. “The caliber of our investment partners is a testament to the strong product we have built over the past year. We can now bring one of the most promising and sophisticated health programs to market,” says Dr. Ethan Weiss, Associate Professor and Preventative Cardiologist at UCSF and Co-founder of Keyto, Inc.
Click to Enlarge A typical keto diet eliminates grains, legumes and refined sugar from the diet and emphasizes fats. Indeed, the market may well be ripe for a piece of consumer-friendly technology that taps into an individual's health. 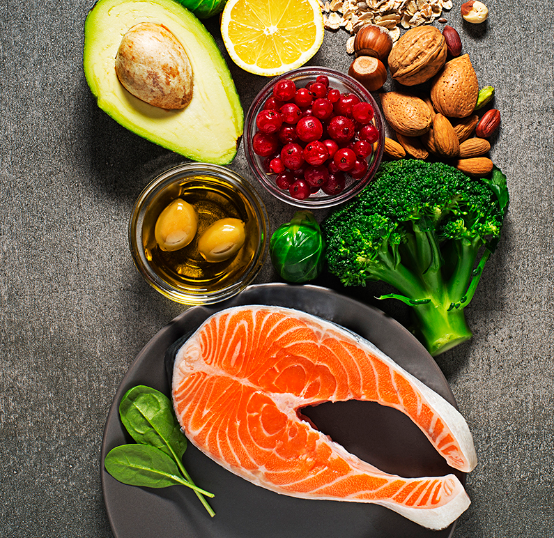 Innova Market Insights has tipped “Eating for Me” as the number 6 trend in its Top Ten Trends for 2019, highlighting that consumers will be choosing to eat in a way that is highly suited to their own needs as personalized nutrition continues to rise. A key component of this trend is the use of gadgets to gain a deeper insight into our personal health – wearable technology, for example, as well as allowing consumers to further customize their meals, by using apps, for example. Keto has enjoyed immense popularity, especially among certain social groups such as CrossFit enthusiasts, reaching number three on the diet trend list according to the “What's Trending in Nutrition” national survey for 2018. As consumers are eating for themselves, as the “Eating for Me” trend predicts, a device such as Keyto could prove popular due to its ease of use and personalized feel. However, despite the surging popularity of the keto diet as a “healthy” way of life and weight loss plan, some researchers have noted that it has certain drawbacks. 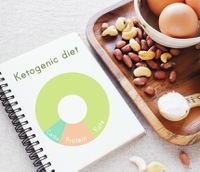 A Zurich-based study found that the trending ketogenic diets may cause an increased risk of Type 2 diabetes in the early stage of the diet. The researchers showed that even though ketogenic diet fed animals appear healthy in the fasted state, they exhibit decreased glucose tolerance to a greater extent than high carbohydrate, high fat, western style diet (HFD) fed animals. Furthermore, an extensive study by The Lancet found that following a low-carb diet could shorten life expectancy by four years. The high levels of animal fats and proteins that often replace carbohydrates in typical low-carb diets appear to be associated with the higher risk of mortality. Eating more plant-based proteins and fats in place of carbohydrates was linked to lower mortality and even reversed the greater mortality risk. Dieticians and nutritionists have also cast doubt on the diets long-term effectiveness and “healthy” reputation. A key criticism that has been delivered is that any diet that restricts people from eating whole food groups, especially healthy ones, cannot really be nutritionally balanced and healthy or sustainable in the long-term. A typical keto diet eliminates grains, legumes and refined sugar from the diet. Furthermore, achieving an alternative longitudinal physical state, such as ketosis, may be difficult in the long-term for weight-loss maintenance and overall nutritional health.